I had so much fun putting this card together and 'felt piecing' those stockings together!! 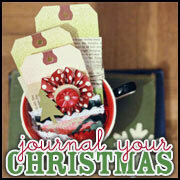 Love the new Sugar Plum paper pack and the Holiday Spirit Sentiments stamp set!! Such fun putting some Christmas cards together!! Thanks for stopping by and be sure to check out the first challenge over at the Papertrey Playhouse if you haven't already!! One of my favorite online classes is A Year In Cards given by Kristina Werner over at twopeasinabucket.com. While I watch each video every month and even print off the PDF file for my Idea Book binder, this is the month I have played along. This month, Kristina made three fabulous Christmas cards. I used the sketches spot on for this one, but pulled out some old papers from My Mind's Eye Be Loved collection pack for my cards. Yes, this was a Valentine's themed collection, but the colors fit for Christmas too!! Here's what I came up with. I used kraft cardstock as my base for all three cards. I also limited myself to the dotted pattern paper and it's 'b' side, along with a green stripe pattern paper from the collection pack. Then I used either melon berry or vintage cream cardstock (from Papertrey Ink), and used the same apron lace border punch for each card. This was my basic color pallet, and once I limited myself, the cards came together VERY quickly!! I can't believe it's only September and I have started making holiday cards!! I guess the season begins early for us papercrafters!! 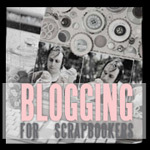 It's that time of the month again...time for another Papertrey Ink Blog Hop Challenge. 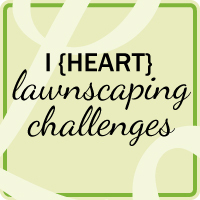 This months challenge was to "create a project using one of your favorite learned skills." One that I have been wanting to try badly is Betsy Veldman's stamped doily's. Let me just tell you how much I LOVE doily's. My grandmothers and great-grandmother did a lot of crocheting. Since both of my parents are only children (yep, no blood related Aunts or Uncles but I do have a few honorary one's), my parents inherited everything. Once I moved out of the house, I asked to take a few vintage doily's that one woman or another had made. I use them on my dining room table under the centerpiece, under marble lamps (that I also inherited from my grandparents...and my dad helped me rewire before moving out), and some are stored away with the dining room linens. I also love paper doily's...like the one's used in the cake making world. So you can imagine my complete LOVE of Betsy's stamped doily's!! Here is the card I came up with using my brand-spanking-new, hand-stamped doily, ala Betsy Veldman! Love this technique and I love the sentiment from Heather Nichol's newest Fillable Frames set. I have a feeling I will be making quite a few of these stamped doily's in the near future. I can see them on some of my scrapbook pages as well! 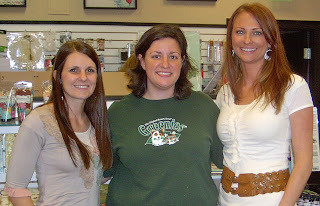 Thanks for stopping by and have a great time checking out all the projects along the blog hop!! The projects I am sharing today are completely new for me...they are hybrid projects. Meaning, they combine digital elements (meaning some of the pattern papers that I pirnted out) and regular paper crafting. I am loving hybrid crafting because it opens up a whole new world of papers and elements that you don't get in the physical. These projects highlight House of 3's new Parisian Anthology digital collection (that they pair with Pink Paislee on), which you can see here. Love the kits I have picked up from HO3!! These are slightly different, but used the same sheet of pattern paper that I just printed right off the computer. LOVE!! I also wanted to give their Summer Junque a try and made this card. I love the lollie, but I am not sure about the design of the card. It's still growing on me I guess. If you're looking to give hybrid a try, I recommend it. I was hesitent at first, but I love the different options it offers...like a bunch of patterns all at my disposal, without taking up any space in my studio...and I can have a sheet anytime I want it (I don't need to wait for it to be back in stock to get my hands on it). Papertrey Ink's Color Couture downloadable products are great and you can find them here. twopeasinabucket.com has a huge digital selection which you can find here (and they even offer some free digi kits as well). It's all about inspiration this week on the blog and today is day 3. Today I have a card that was inspired by Maile Belles. I love her simple and clean style, but especially love when she adds french knots as an embellishment to her design. I do not do needlepoint or embroidery, however, that's a craft that both my sister and mom enjoy...so i decided to give the french knots a try and here's what I came up with. I broke out my anniversary set, Round & Round for this one. I haven't used that sent in a while so it was nice to hang out with an old friend again. I used a sheet of patterned paper from My Mind's Eye that matched perfectly with Papertrey Ink's Pure Poppy and Melon Berry. So I added some Rustic Cream and Kraft for a pretty simple card. Here's a closer look at my french knots (my first one's by the way). Maile's tutorial was fabulous!! P.S. Be sure to check out the Papertrey Playhouse blog for our VERY FIRST challenge!! I wanted to share another inspired card that I had made recently. Debbie Olson is one of those card makers that always creates something wonderful. Her copic markering alone is inspiring!! I recently picked up some of the wide silk ribbon often featured as one of Debbie's bows and couldn't want to tie it onto a card. That was my inspiration piece that led me to create this card. I had also just received an order or My Favorite Things Pure Innocence stamps (love these), so I figured I put the two together, along with some of my favorite Girls' Paperie patterned paper. 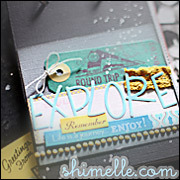 Can not wait to play with more of these stamps and this ribbon. LOVE the ribbon!! I got mine here. And how about that BOW! This ribbon makes the BEST bows!! Thanks for stopping by!! "Have a magical day!" 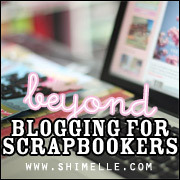 I am inspired to try new ideas and techniques everyday as I peruse all of the crafty blogs out there. With the Papertrey Ink Blog Hop on Saturday focusing on inspirations, I figured I would highlight just a small few of what I have been inspired by lately. Today, it's all about Betsy Veldman's felt flowers using Papertrey Ink's Rick Rack Die. Loved this idea when I first saw it...in my email box when it came in the form of a Design Tip message. Knew I would one day try this out!! And love it I did when I tried it!! I am totally going to try our her homemade doily idea one of these days too!! But for now, I am loving the tiny felt flowers!! And I actually got out my sewing machine for this one too. I have wanted to get it out on other cards, but I store it under my desk, and I have having to thread the needle, change out the bobbin, etc...so I am usually just lazy and skip the added touch that the sewing maching brings, but I think I may bring it out more often...may even try to find it a permanent home out someplace in the studio...maybe one day!! My grandmother would be happy to see me sewing, though I am not sure she'd like that I am using it to sew paper (she and my grandfather we both tailors, and really all I can do is sew a straight line). I made this gift bag for a magazine call and it didn't get picked up so I figured I would show it off here. I used one of my new favorite color combinations: kraft, white, and Papertrey Ink's Summer Sunrise. I made some patterned paper flowers as an extra touch. This was my first time making this type of paper flower and I don't think they turned out half bad. I have a friend who's due to have a baby in early November, so I figured I could use this to give her a small gift after the baby is born. Here's a better shot of the stamping and the flowers. This is another fabulous decor project that was made in the Glitz classes I took last month. I love this little beauty. Another project that was WAY outside of my comfort zone...but isn't it amayzing? I love vintage items. Even went on the hunt for a vintage tea set a few years back at antique shops up in Maine (did find the perfect set), so when I saw that this was a class I had to jump on it. I had NO idea what I was getting myself into other than seeing the samples, but this was even better then I imagined. I can totally see myself making more of these to give as gifts...maybe using photos of my grandparents!! Such a great idea!! Here are some closer shots of the details. And, yes...it is the SAME picture that I used on the cover of my altered album that I shared yesterday...I just LOVE that picture!! And the two pieces are on opposite sides of the studio, one is in color while the other is sepia toned...so it's all good if you ask me! This was a Fiddler On The Roof album...which is really great considering I played in the pit for this production at my high school my junior year!! I was excited about it, even though I covered Tevia up...just didn't fit with my decor...but you can see some of his beard just under the U in the Top 10 Reasons 2 Luv U. Love those paper flowers that I learned how to make at the class as well...such fun to make these!! And, as I mentioned, we decorated the album inside too! I folded a sticker around the edge of the album (wasn't my idea, it's what the sample looked like at our class, and I thought it was a great idea to show that there was more than just the cover). My hubby and I love taking photos of ourselves with one of us sticking our arm out to snap the picture. Well, I love taking these type of photos and I think my husband humors me...but he never complains when I ask him to stand there until we get just the right picture! It was such a fun class and such a unique project. I absolutely LOVE how it looks in my studio!! WOW I am a really bad blogger lately. 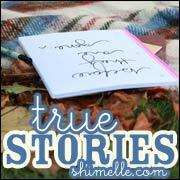 I haven't blogged in almost three weeks! I've been getting back into the swing of things since getting home from AZ a few weeks ago. No crafting for a week while I was there and it's been hard getting the mojo back. I do have some fun things planned for the very near future, but for now, I will tell you about the two classes I took on August 28th with the fabulous Glitz Girls. I took two classes (jet lagged and all) with two of the Glitz Girls (Ginger on the left and Laura on the right)at my LSS She Scrapbooks in The Villages. Love that store!! If you're ever in the Orlando area, it's worth the hour or so drive north to The Villages! Such a GREAT Community!! The classes I took were WAY out of the box for me and I will be sharing those projects later this week. In one we altered a vintage serving tray, while in the other we altered a vintage vinyl record album. Such COOL projects and I love having the vintage decor in my office now that the projects are completed. I NEVER would have thought to do these projects. I guess that's why they are the Glitz Girls. HA! Anyway, stay turned to the blog-o. I've got some big plans for the future! For now, I am going back to cleaning and re-organizing my studio space. It's been on-going for almost two years now as I add/change organization to it...but it's getting there!! Hopefully by the two year mark next March it will be the way I want it! When it is, I will share! !